Genetic Direction is a leading provider of genetics-based health management programs, and we offer the genetics-based weight loss program, GxSlim, through healthcare professionals like yourself. The GxSlim program includes a DNA test of 48 genetic markers directly related to weight loss and a comprehensive personalized report that includes the ideal food, nutrient and exercise recommendations based on your client’s genotype. Your client also has access to our genotype-specific health content portal, which contains hundreds of videos, recipes and articles that are targeted to your client based on their genetic profile. Contact us and we would be happy to answer any questions you might have about GxSlim and Genetic Direction, as well as discuss our Affiliate Program. You can offer GxSlim to your clients to help them achieve a healthy weight, and you can earn a share of the revenue from each product sale. We will also provide you with co-branded marketing materials to help you educate your clients on our programs. 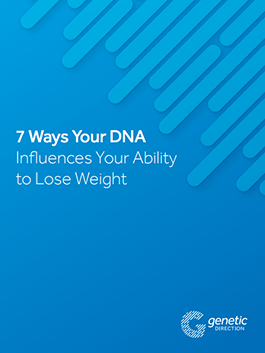 Download 7 Ways Your DNA Influences Your Ability to Lose Weight!